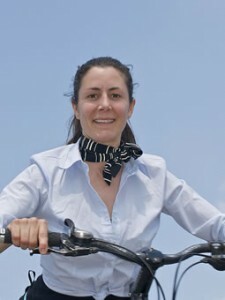 Kate has worked on a number of projects for The Bicycle Ballet Co, performing in the dance of cycling & Strictly Cycling. 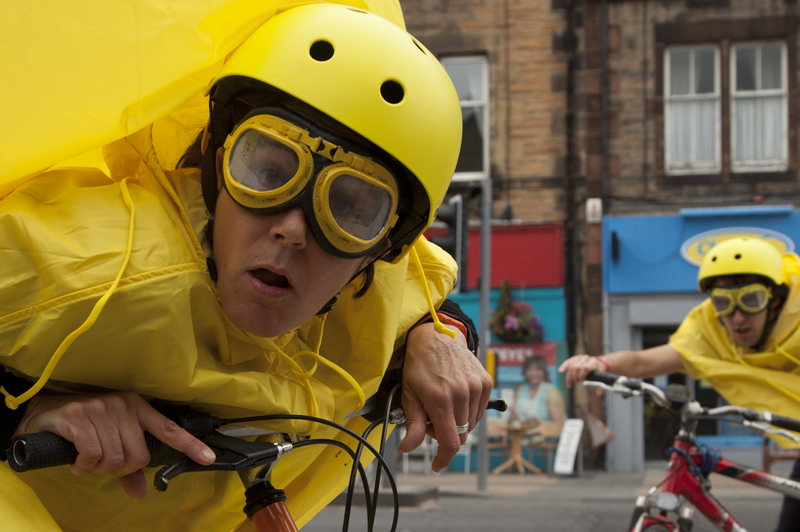 She first appeared as a volunteer cyclist whilst 8 months pregnant in the original Bicycle Ballet. She’s ridden, danced with & fallen off many a bike (never whilst pregnant) across London, the UK & beyond. She has performed indoors & outdoors worldwide with her street theatre company Creature Feature & aerial/stilt company An Act Above. Other performance companies she has performed & collaborated with include: Avanti, Rintintin, The Dream Performance, Circo Rum Ba Ba, & Divine Company. She has taught theatre at Middlesex University, & mask and circus around the UK. She is an associate of Circus Rosa who runs Walthamstow Youth Circus & also a trainer at The National Centre of Circus Arts.